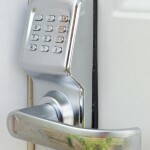 Why You Want an Interchangeable Core Key System to Protect Your Business | Thompson Lock & Supply Corp. Why You Want an Interchangeable Core Key System to Protect Your Business | Thompson Lock & Supply Corp.
An interchangeable core lock, or IC lock, is an ideal way to keep your location secure and protect your business. Interchangeable cores provide a convenient way to change out a lock without having to disassemble any component of the lock. An interchangeable core lock is shaped like a figure 8 and can be extracted from the lock pad with a master key. You can then insert a new key core with the master lock, and the whole system is set up and ready to go. This simple, convenient key system is perfect for any business that wants the ability to change out keys periodically to maintain safety. Retail stores often use the interchangeable core key system because of all the frequent changes in management and staff. Interchangeable core key systems are so convenient that they can often easily be installed by the company itself. You can change out the cores whenever you desire and send the used cores back to us to be repinned for a later core exchange. This can save your business money without sacrificing security. You don’t have to pay for a service charge every time you want your locks changed out, and you will be able to do it at any time, even if there is an emergency security situation. 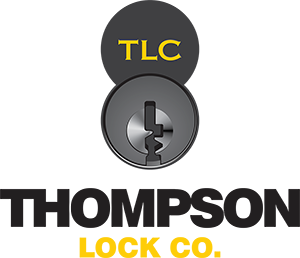 At Thompson Lock & Supply Corp., we are well-equipped to handle all of your lock and security needs. We are happy to get you set up with an interchangeable core key system and do continued maintenance on the system to keep it up and running and keeping your business secure. Contact us today to learn more!